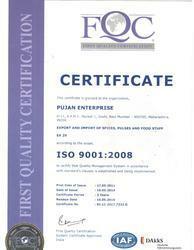 Pujan Enterprise has gained regard among the prominent exporter, importer, traders and suppliers of best quality Spices, Pulses & Food Stuff within the few months of its starting in 1991. We are offering a large assortment of Indian Beverages, Indian Ready to Eat Products and Indian Basmati Rice. This offered range is prepared from optimum quality components at vendors end with strict follow the industry accepted quality norms. Our offered range is highly appreciated by our clients for their rich taste, accurate composition, nontoxic nature and long shelf life. To meet the individual's requirements, we are offering these products in various packaging options. We export our products across the world. We have developed a huge vendor base to provide this impeccable range of product. Our company is governed by professionals with high level of skills and experience. Also, our team comprises of administrative staff, logistics professionals, procurement agents, quality analysts, and sales & marketing experts. Moreover, all our offered products are packed by a team of packing experts in nitrogen flush packaging, so as to retain their optimum and nutritive value. In addition to this, we are offering different payment options to our clients for their convenient. Also, we offer our products in the market under the various brand names like Mothers, Recipe, Priya, Bedekar, Haldirams, MTR, Gits, Maggi, Tata, Lipton, Brooke Bond and many more. Under the guidance of our mentor, Mr. Dinesh Patel, we have listed our company among the top rated traders and suppliers of best quality products. His deep knowledge and motivation inspire our workforce to dedicatedly work towards the goal. The cornerstone of rapid success for our organization is our quality policy. 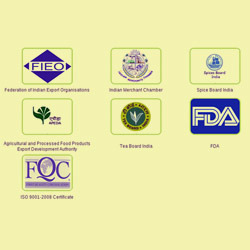 To offer a quality assured the range of spices, pulses & food stuff to our valued clients, our vendors are prepared our offered products using high-quality components. Further, they keep special consideration about the hygiene in preparation process to confirm that every product is composed and packed under sterilized conditions. Our company sources offered items from the reliable and authentic branded companies, in order to prepare a best quality array of spices, pulses & food stuff. They are chosen by our experts after conducting detailed market surveys, in which they have thoroughly inspected their previous track record, industrial experience, financial status and timely delivery schedules. Over the years, We have maintained rich contacts with varied renowned enterprise of the market for procurement of all our products. We offer well known brands of the market. All the offered brands are selected by a team of sourcing agents after conducting varied surveys and market researches. The organizations we are associated with are selected on the basis of their qualitative products, ability to fulfill bulk orders, market reputation and financial stability. Our team of qualified professionals is a key to our success in this domain. We provide regular training to them to keep aware of the modern market concepts. There are a lot of reasons that gives us a competitive edge over the other companies. To deliver a quality approved range to our patrons, our quality controller team checks the quality of the offered products. We are one of the trusted traders and suppliers of a commendable range of spices, pulses & food stuff. All our products are available in various quantities to choose from. Moreover, we are offering different payment options to our clients for their convenient. Apart from this, we are offering these spices, pulses & food stuff within the assured period of time.